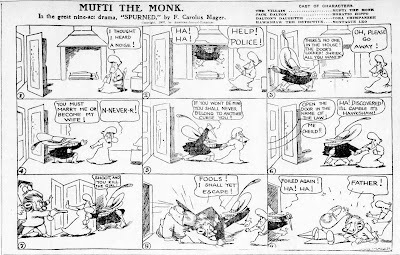 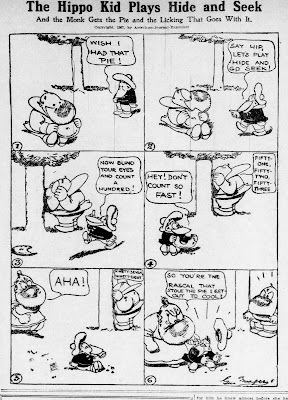 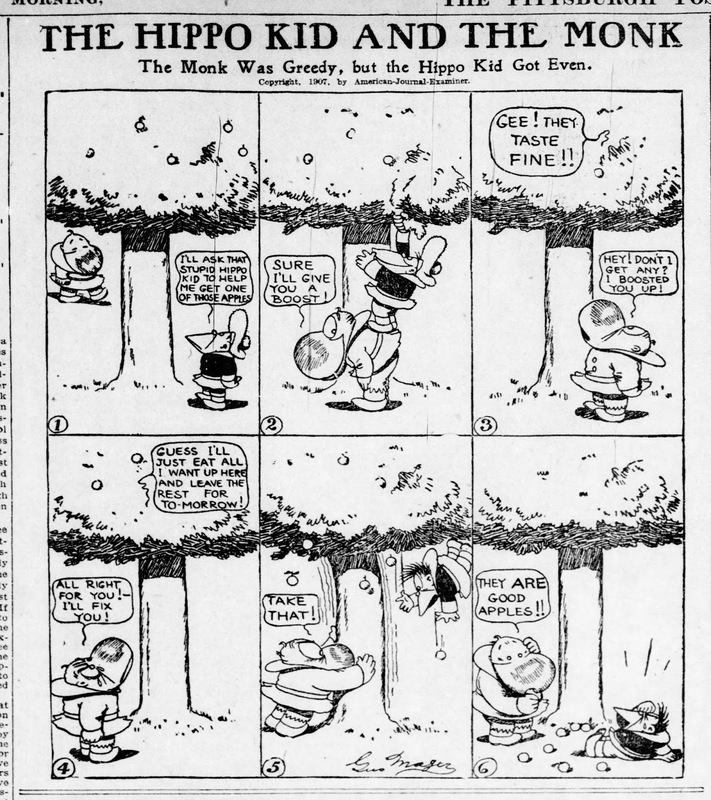 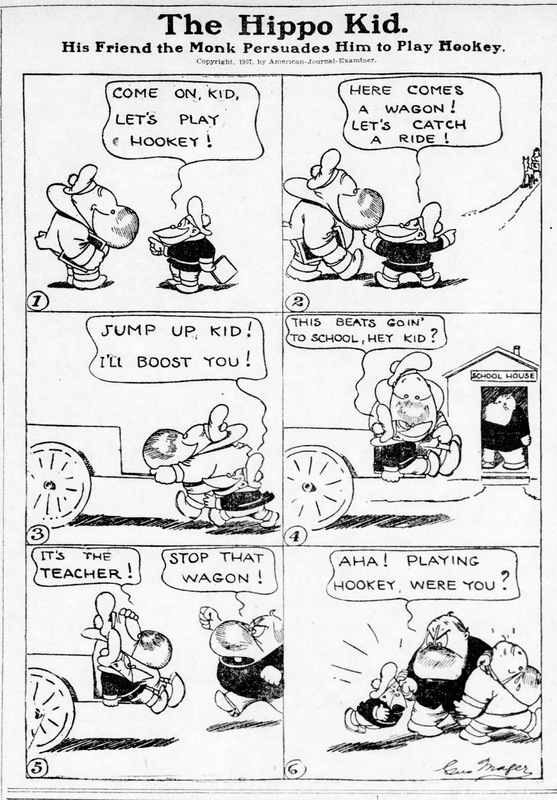 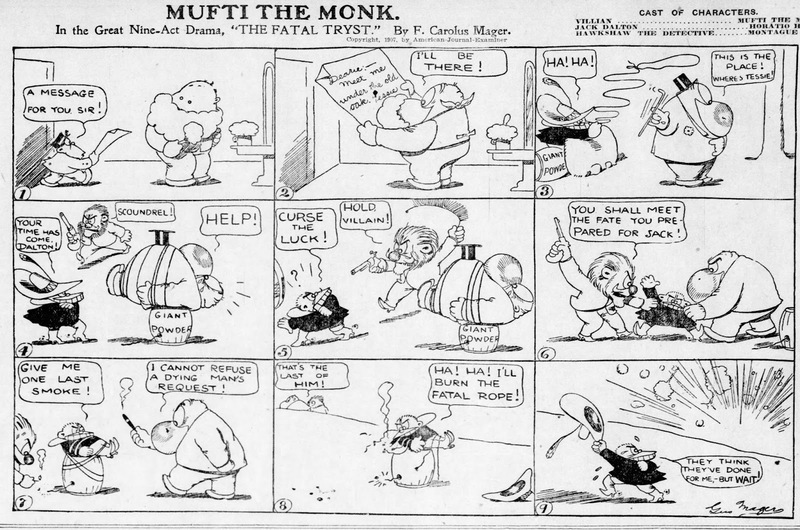 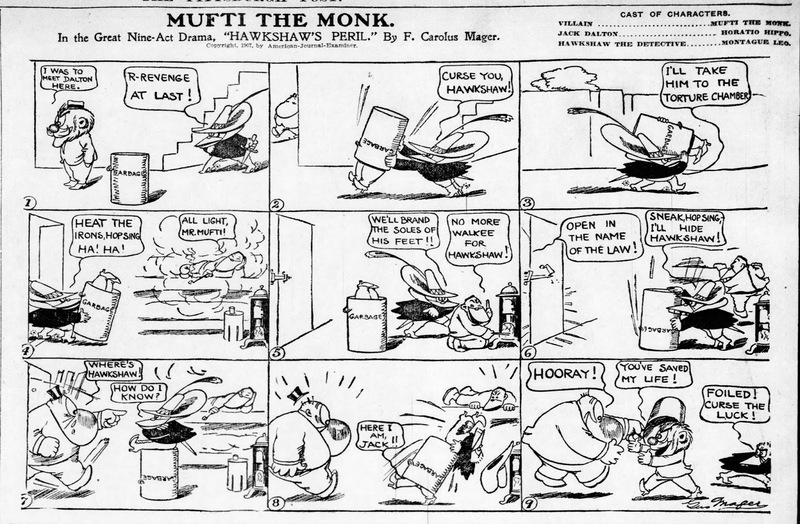 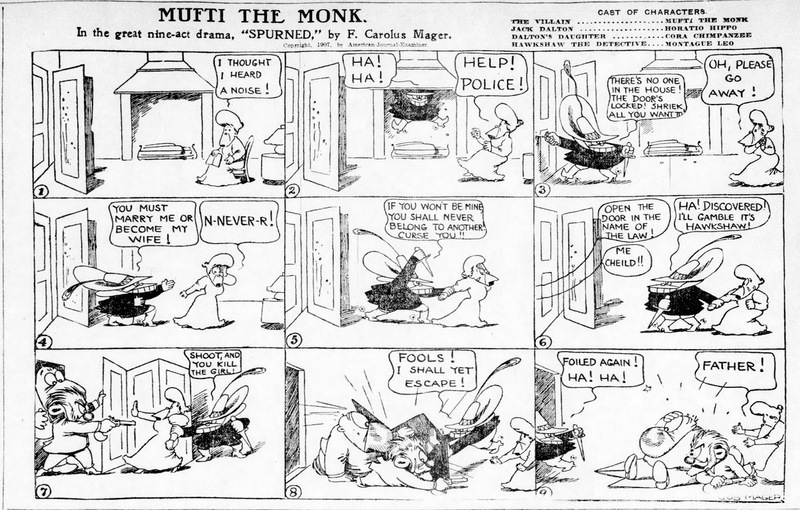 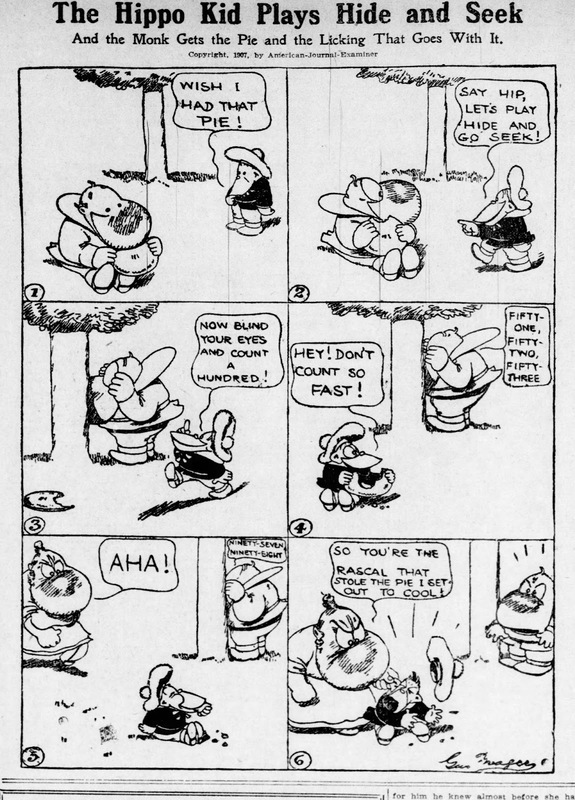 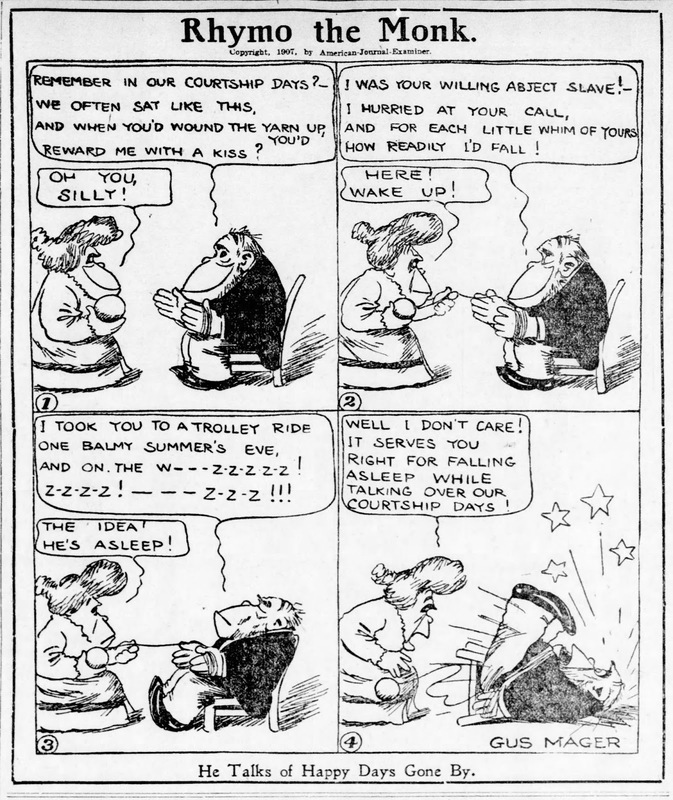 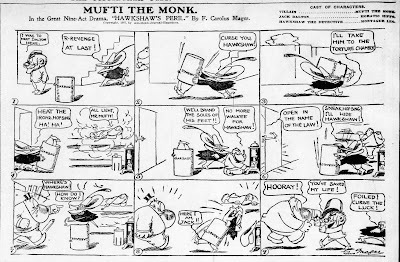 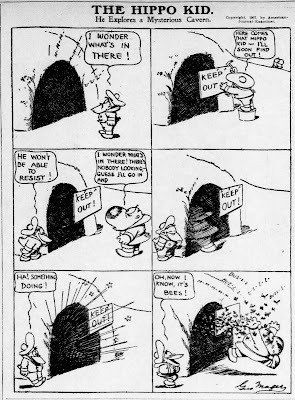 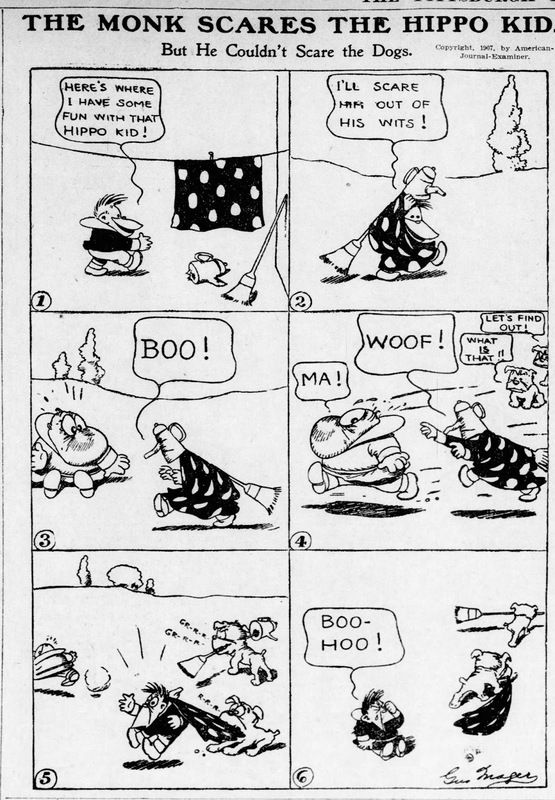 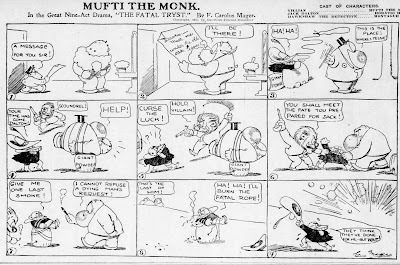 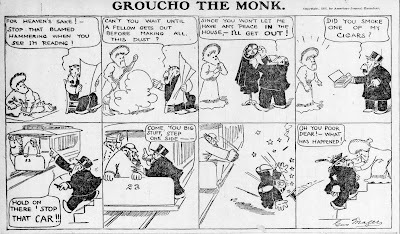 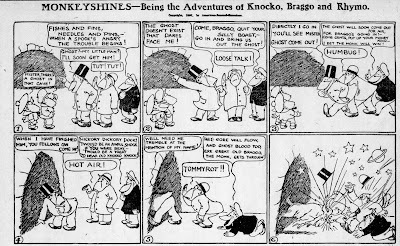 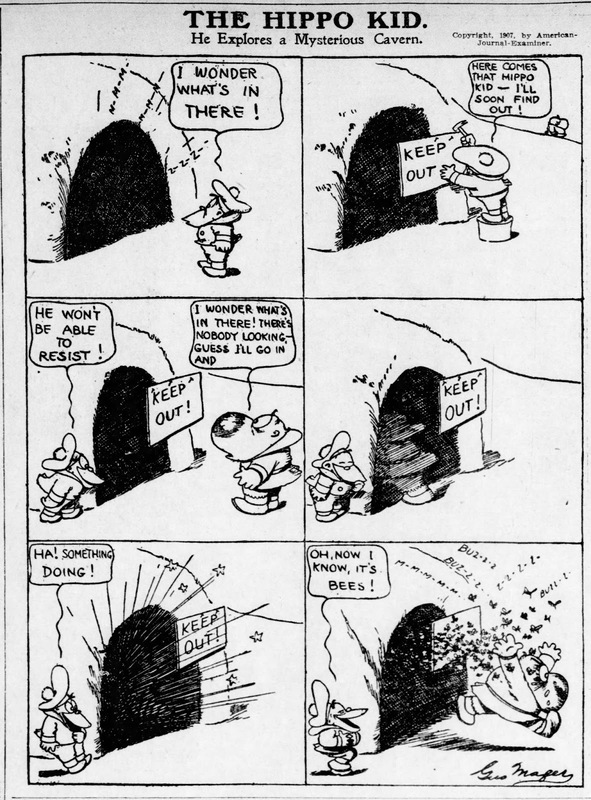 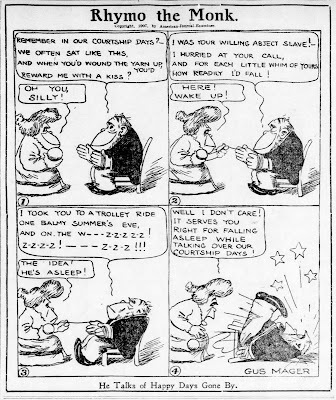 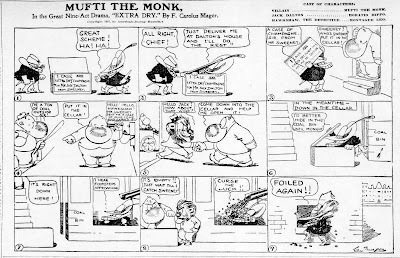 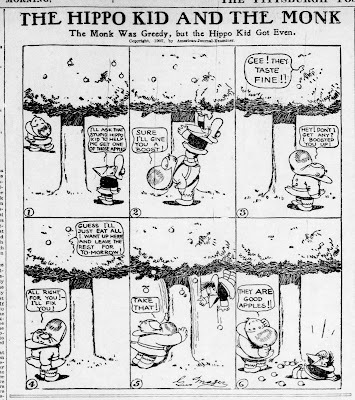 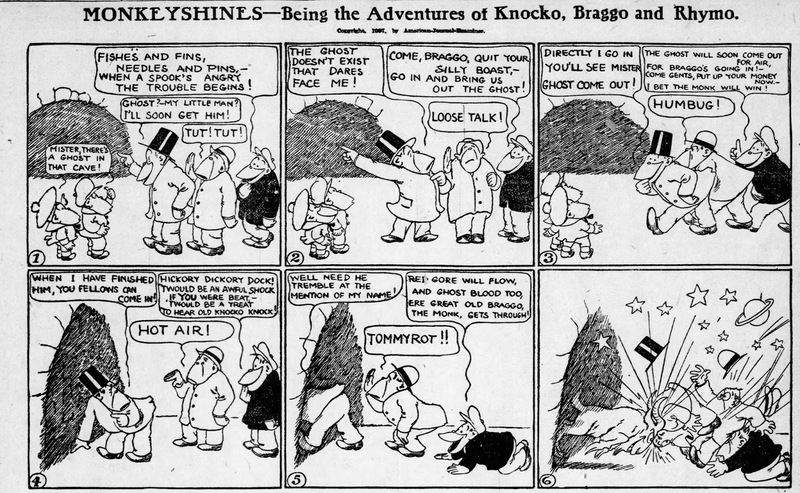 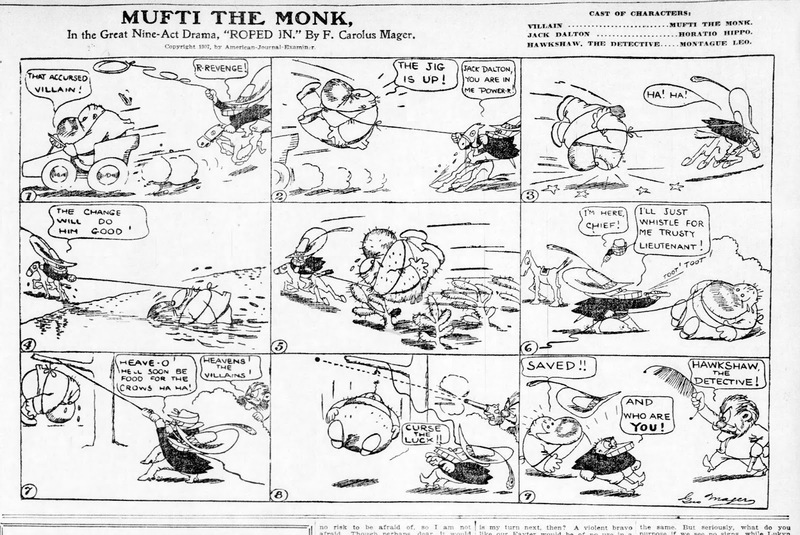 Some time ago I clipped a whole lot of Gus Mager's early Monk strips, a funny animal series that predated his more famous Sherlock Holmes spoof Hawkshaw the Detective. 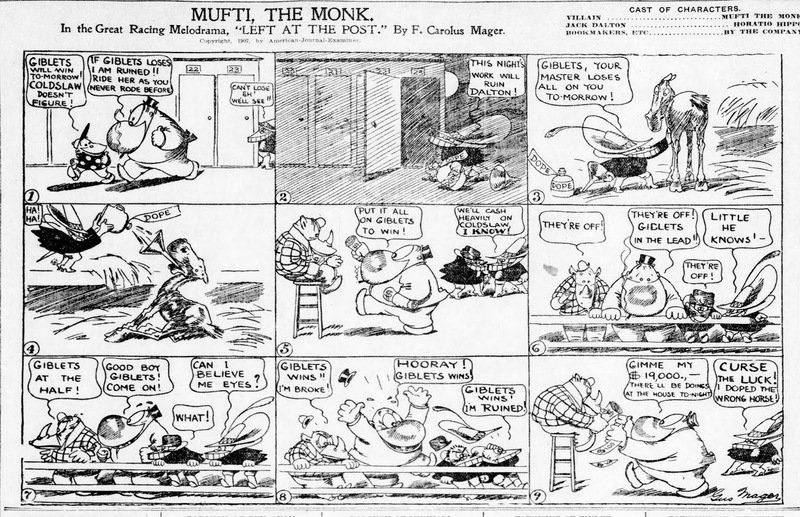 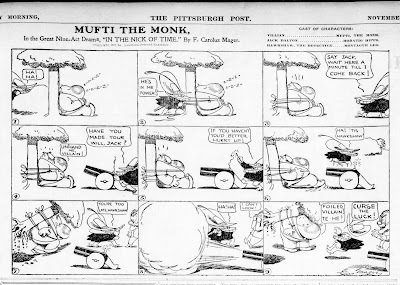 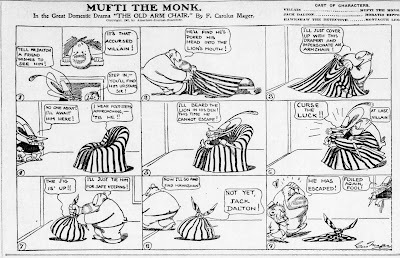 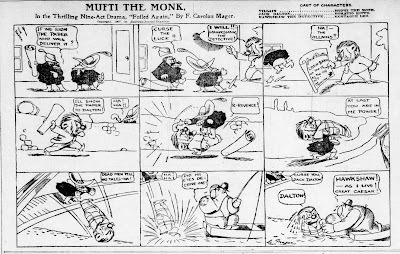 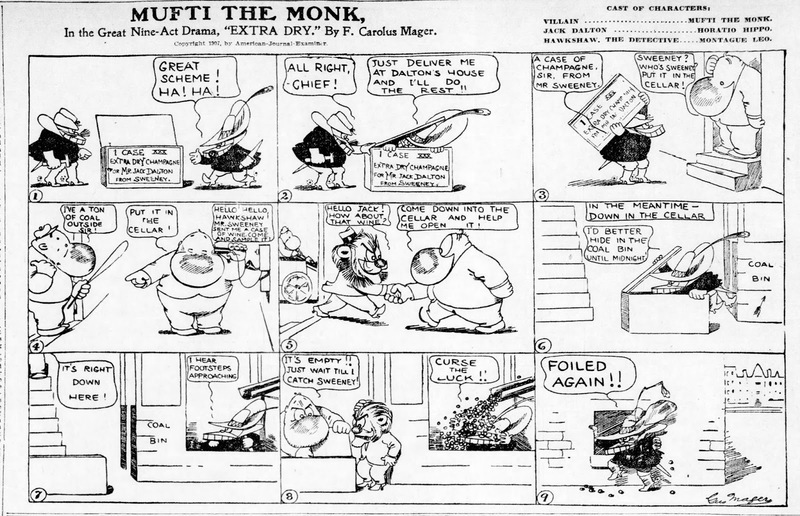 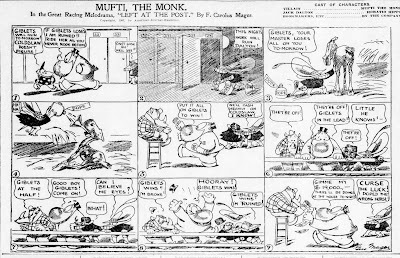 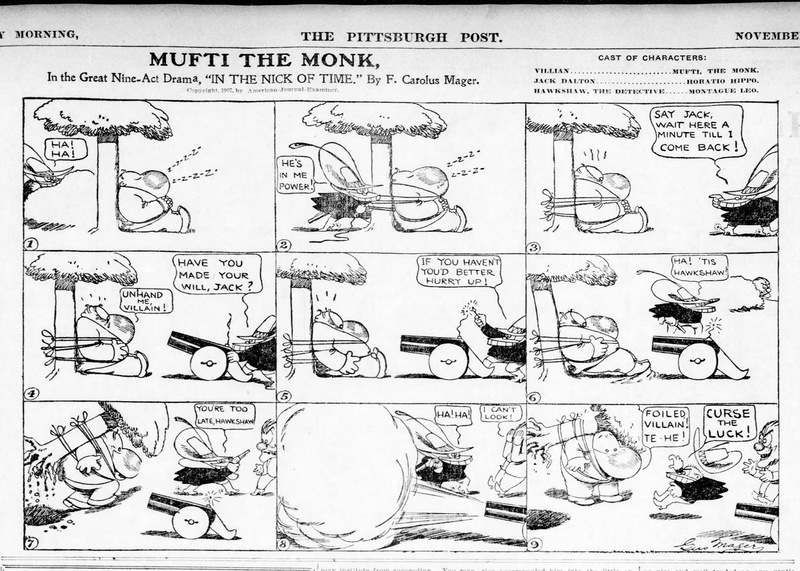 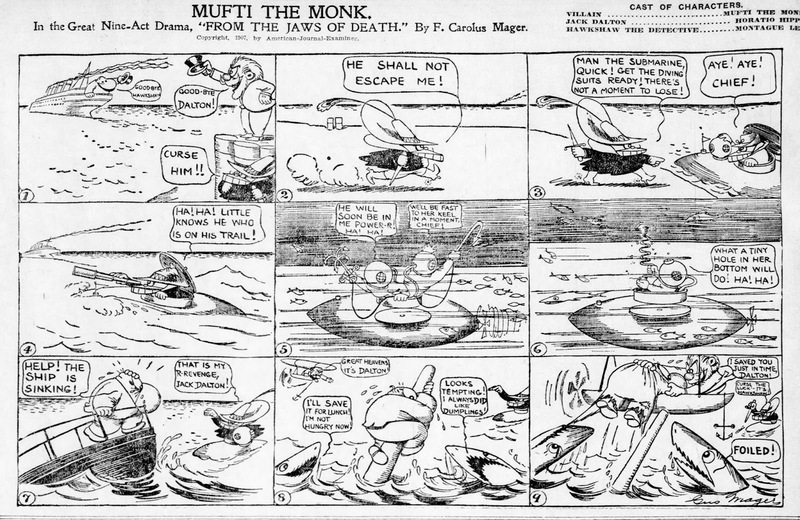 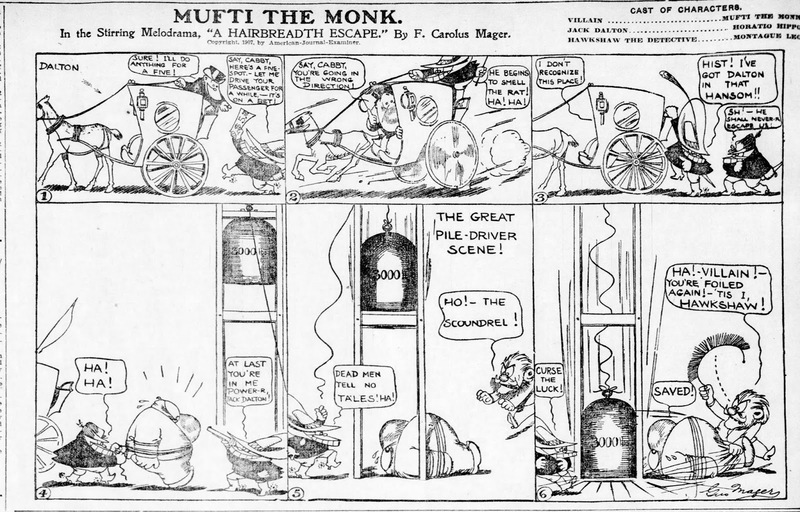 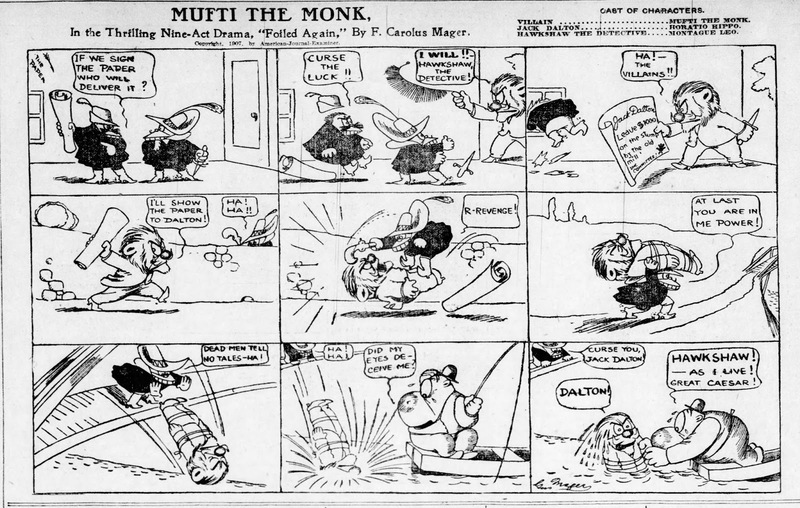 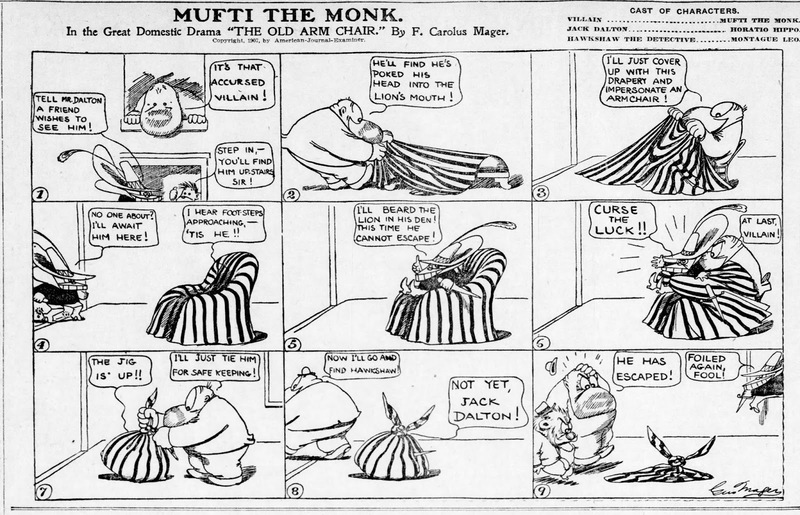 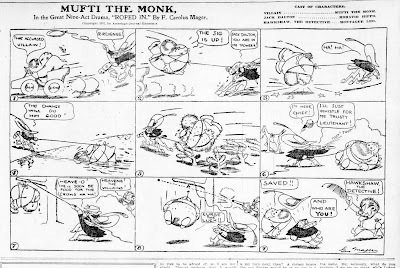 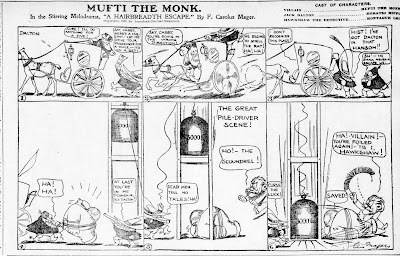 One of Mager;s gags in this irregular daily strip was the way he started naming his monkeys, as you can see here: first as Mufti the Monk, later Rhymo, Braggo and even Sherlocko. 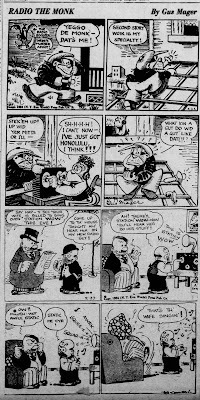 Famously, this way of naming was taken up by the Marx Brother, who based their own names on the same principal.